Staying a step or three ahead of our digital future is what Thought Studio does best. So when the future of corporate workspaces arrived in the form of The Precinct, we were ready to exceed UBT’s expectations to provide a revolutionary one-touch answer to their conference room bookings, digital signage and visitor management requirements in two flagship locations. 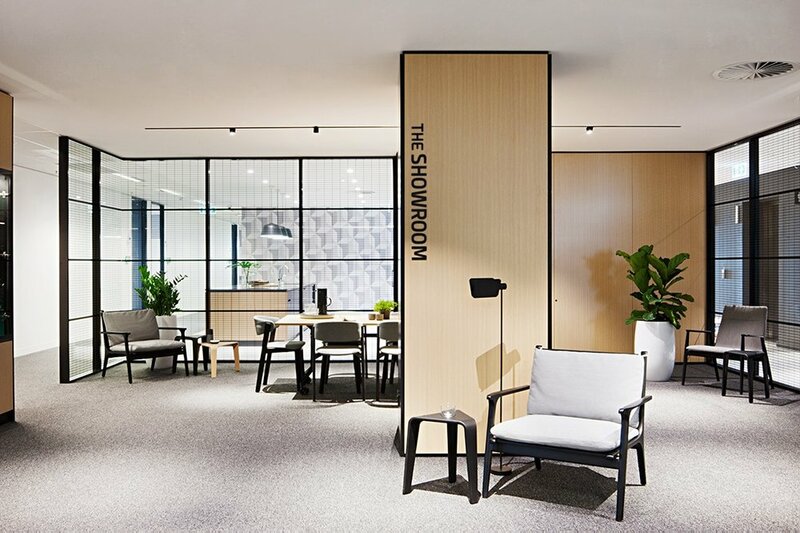 Across three levels in Olympic Park, Sydney, and two in Onehunga Mall, Auckland, the open-plan, multi-functional environments are specifically designed to foster member business/training collaboration and innovation supported by leading edge technology. The Precinct in current and future locations are expected to efficiently manage a high level of flow through, so it was clear the antiquated paper book sign-in and impractical plastic name badge system was not going to cut it. UBT called for a highly responsive integrated system to provide seamless automation of processes between the Sydney and Auckland facilities to complement the new dynamic environment. From touchscreen visitor sign-in and captivating digital signage to computerised meeting room management including room, catering and parking bookings, our Visitor Tech® system conducts the entire orchestra, ensuring a symphony of flawless automation. Powered by Thought Studio technology, the Microsoft ASP.NET website application operates on Microsoft Azure Virtual Machines, using SQL Server for storage. One size does not fit all, however. Our brainchild’s designer had created a malleable benchmark product which can be modified extensively to client specifications. Six months of pre-installation collaboration between Thought Studio’s project manager, two developers, an engineer and UBT produced a client-specific solution for the Olympic Park space. This was followed by a further month of development for Onehunga Mall in Auckland. The project was not without its challenges. Our team was faced with trans-Tasman complexities involving, for one, time differences. With three time zones in Australia, one in New Zealand and six months per year of Daylight Savings thrown in for good measure, the system required significant modification to ensure room booking, digital signage and car parking were automated accurately for their respective time zones. (Mustn’t underestimate the importance of having the blueberry muffins turn up on the right day at the right time in the right room at the right location). The management of membership payments also called for some serious collective head-scratching. A solution needed to be found for GST adjustments, currency regulations and tax considerations across two countries. Multiple payment gateways meant our engineers needed to develop a network of channels to reconcile all membership fees centrally in Australia while complying with a maze of fiscal regulations. Our team achieved this by leveraging Microsoft technologies to simplify the culture and geographical-related differences such as dates and currency. Companies such as Microsoft, Accenture, Fujitsu, Samsung, Dexus, Colliers, ACS, HCF, Charter Hall, Harper Collins, FDC, NIB, Petsure and Lonely Planet rely on our systems daily.